In partnership with the California Department of Corrections and Rehabilitation (CDCR), CSU, Chico launched an Executive Leadership Institute this week that aims to prepare state corrections executives to be decisive, effective, visionary leaders and champions of change. The Executive Leadership Institute was developed in partnership with Regional & Continuing Education at CSU, Chico and includes four, one-week courses taught over a four-month period. Courses will be taught by nationally recognized faculty experts in corrections from universities across the country and will be held in Chico on the CSU, Chico campus and in Sacramento at the CDCR Office of Training & Professional Development facility. Participants will work in project teams to address selected CDCR issues under the guidance of CDCR project sponsors and CSU, Chico faculty project mentors from the departments of political science and criminal justice and sociology. Final project results will be presented to the senior CDCR executive staff. The first cohort includes high-level administrators such as a chief deputy warden and associate wardens, nursing and medical administrators, and those specializing in parole, juvenile justice and labor relations, along with administrators from headquarters in Sacramento. 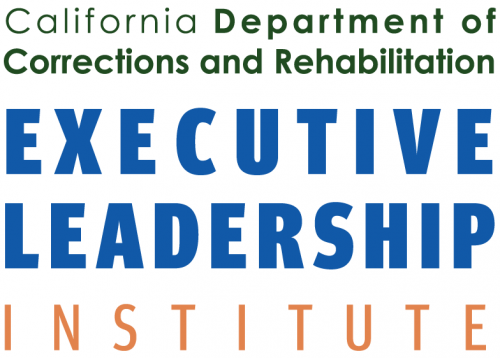 CDCR will select 220 employees from across the state to participate in the Executive Leadership Institute in the next 18 months. Participants will develop essential leadership skills by learning and applying proven strategies; applying the principles of planning, research and evaluation to foster organizational transformation; embracing and promoting principle-based leadership and a positive, ethical and motivational organizational culture; and developing and demonstrating analytical skills and the ability to achieve results by working in project teams to promote meaningful change and demonstrated outcomes of their leadership development.